Veronica has been a valued team member FVC since 2011. 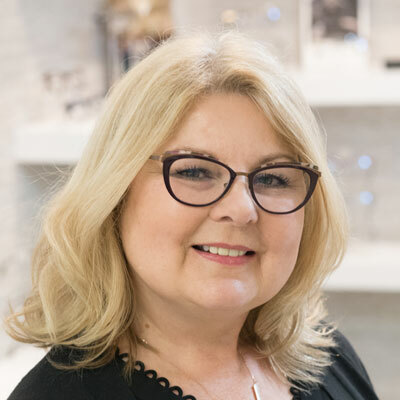 She brings many years of optical experience and she is a wealth of knowledge for our team of opticians. She enjoys spending time with her family and loves spending time on the lake. Both she and Miriam enjoy their fantasy golf leagues. She likes to read, and going to the movies. She likes to garden and loves to travel. We love to hear of her many adventures when she returns from her distant lands.